Lily Organics Farm and Lily Farm Fresh Skin Care is the first and only skin care in the world to receive all 3 of these USDA certified organic certifications. “We are the only skin care company on Planet Earth that goes to all this work to create our top skin care products.” While most skin care companies just call a private labeler or co-packer to have their products made, Lily Farm Fresh Skin Care, grows the USDA certified organic plants on their USDA certified organic farm and makes them up fresh in their USDA certified organic laboratory. “We believe quality comes from the process and the love we put into the products,” states Lily. As a 7th generation American grower, Lily knows something about the growing process. “We were organic before organic was cool,” chuckles Lily. Since 1986 she has been handcrafting these purely natural skin care products. The complete facial care line includes, a mask, cleanser, toner and moisturizers for all skin types: sensitive, normal and dry. 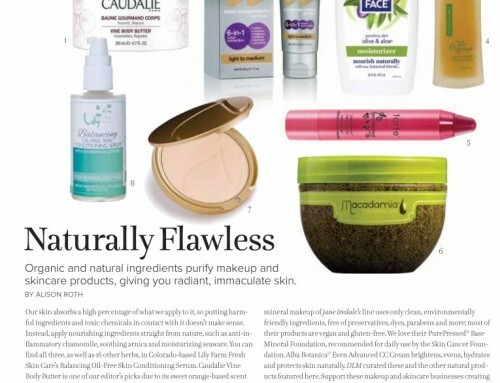 They are especially recognized for making natural and organic skin care lines for sensitive dry skin in dry climates. The company has one USDA certified organic product on the market now and has 5 more approved by the USDA. “It is no surprise to me that we are the only skin care in the world that goes to all this trouble. work and labor, we do up to 100 times more work then traditional skin companies; to create our product line, to grow our ingredients on a USDA certified organic farm, to handcraft them fresh in our own USDA certified organic laboratory, to complete the paperwork demanded by the USDA, to actually follow and document compliance with their regulations, sometimes I think we are insane, but then I use our products and it is the only way to create the quality we and our customers demand,” states Lily.